My mom wanted gardening tools and supplies for the last couple of years. And windchimes. But now she has enough of those and this year, I am trying to figure out what to get for her. Why not go handmade? I rounded up a list of some great handmade Mother's Day craft ideas that you can create and give from the heart. How to make your own sugar scrubs! 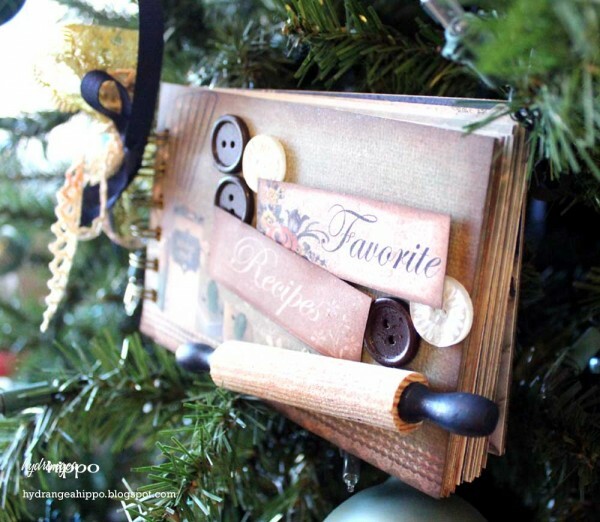 Even though this blog post is Christmas themed, this recipe book tutorial can be used for any occasion, like Mother's Day! Make a recipe book from recipe cards – super fast and affordable! They did this on a pillowcase but this would be cool on a sofa pillow as well. Perhaps with all the names of the grandkids? If mom loves to read, these are a fun and easy craft for the kids to make and include inside of a new book! 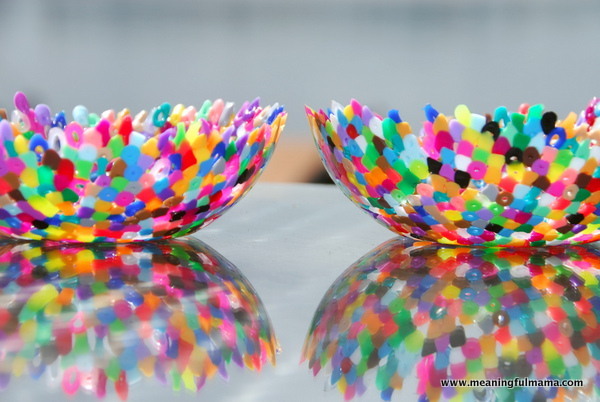 Another one the kids can help make – bowls made from perler beads! I love the look of these and think they woudl be great for mom to keep her earrings or spare changes or little chotskys in! 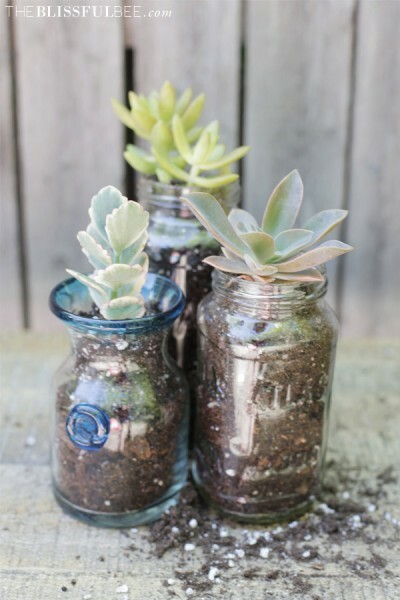 This is perfect for kids to make for mom and costs next to nothing to make! Make the ladybug rocks in this post or paint them as markers for the vegetable garden, this craft is fun and practical. I am totally making this one for my mom! This one is great for grandma! Add photos of family members or grandkids to sets of blocks that can be rearranged to make funny people. Great for a coffee table activity. BecomingMartha.com has a great free printable that you can use to make a card or a scrapbook page for mom. Check out these great handmade flower ideas from CraftFoxes. Turn any photo into a photo canvas for mom – she'll love it! 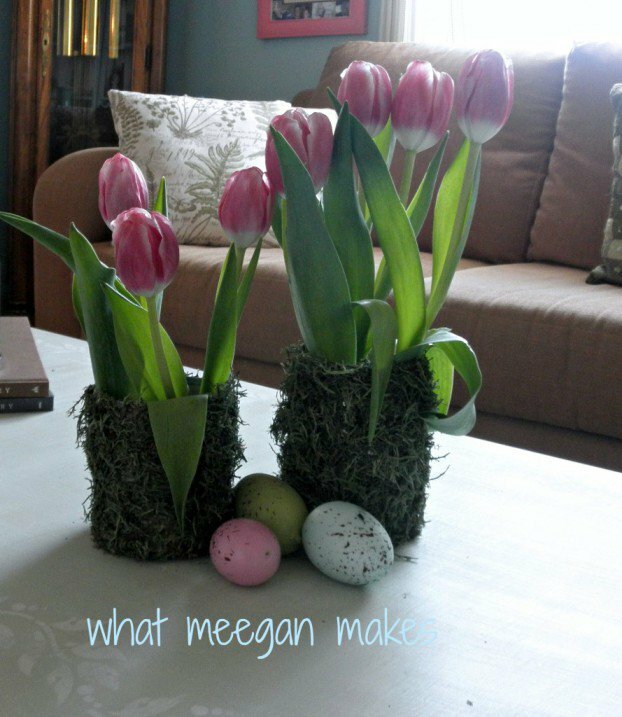 Meegan shares a great roundup of amazing Mother's Day gift ideas. And if that wasn't enough, Crafts by Amanda shares a HUGE list of gift tutorials. What I love about these is that you know what is in them. I am all about going healthy and natural this year and when I have bought bath salts as gifts in the past, well, who KNOWS what is in the bottle! You can give these with confidence and love! Use beads to make a suncatcher for the kitchen window or for the car. Are you making Mother's Day gifts this year? Please share in the comments! Thank you for the awesome craft!!!! Have a wonderful day! Thanks so much for featuring my collection of Mothers day Gifts. I really appreciate it! You are awesome!